For quite some time I've felt the need to have more control of what is going on with my film scans. I've used several labs over the years for processing and scanning, and whilst none of them have done a bad job, I've never been 100% sure if it could be better or not. It seems to be adding a variable into the process which I have no control over - is the exposure wrong because of me or is the scanner not set up properly? The same goes for the focus - is the lab's scanner out? Or am I just not getting things right when shooting? So, I needed my own scanner. By doing it myself, I can not only be more sure of any variables, but I can also tweak each shot if I want. Because I know what I was shooting and what the scene looked like. I'm a bit tight on space at home, which meant a flatbed scanner was out; which was a shame as a flatbed would do various formats. So I went for a Plustek Opticfilm 8100 35mm scanner. I'd heard that there was quite a steep learning curve to the Silverfast software which comes with it. The first few scans I wasn't particularly pleased with at all - it was all looking a bit grungey. After looking at some tutorials, I then found what some of the tools were doing in the software and was on top of it pretty quickly. It has multi exposure on it, which means I can do two scan passes. I'm scanning fairly flat without bumping up any contrast. So the resulting TIFF files are a bit washed out. However, when putting them through Lightroom then they really come to life. I've started saving presets for each one to speed up the post process. 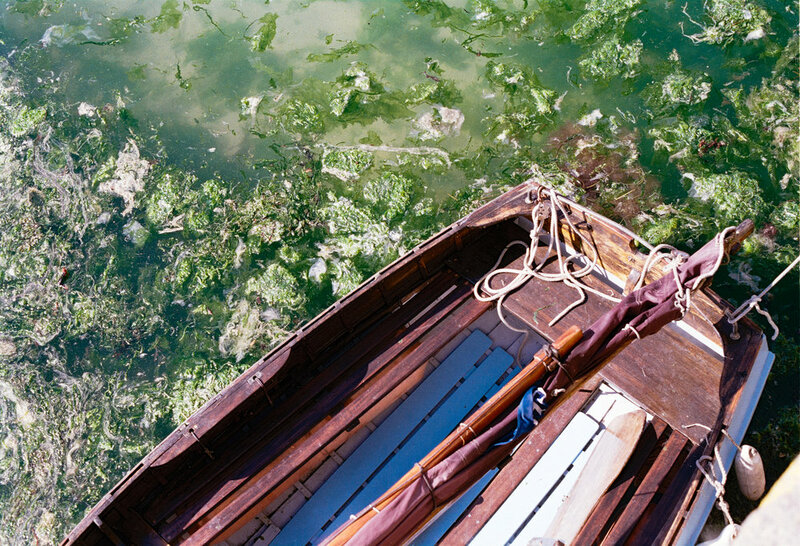 The first scans I made where from a short break in Cornwall. I was trying out some Kodak ProImage 100, a film that is not readily available but is apparently being marketed more in Europe now. Which is a good thing, because I rather like it! It's very much like Kodak Portra - natural colours, nice saturation and renders skin tones nicely. It also has quite a bit of flexibility - I could push certain colours a bit if I wished. The film was apparently first released in 1997 and not been updated since; mixing that with my OM10 and old Zuiko glass gives it a feel of my youth in the 80s/90s. Next up was Ilford's Pan 400. And this was completely different - nice tight grain, a wide range of greys in the tone allowing me to play with it to my heart's content, and a gorgeous look which has an almost 1960s documentary look to it. I've got another roll in my camera at the moment and already excited to see how it turns out - really love this one! One thing that I didn't expect from using my own scanner was seeing the difference straight away between different emulsions. I could see a massive difference between Foma 400 and Pan 400 just by seeing the initial scans before I even put them into Lightroom. Even the physicality of the film is different - the Foma more prone to being damaged than the Ilford. I have to say, the Plustek scanner is great. I've got scans from it that are just as good as I've been getting from pro labs. And I'll be tweaking the settings more to see what else I can get out of it. And Kodak ProImage and Ilford Pan 400: big thumbs up! Now, I wonder what Pan 100 is like...!? All shot on my Olympus OM10. Kodak ProImage 100 rated at 80asa. Fomapan 400 rated at 200asa. Ilford Pan 400 rated at 200asa.